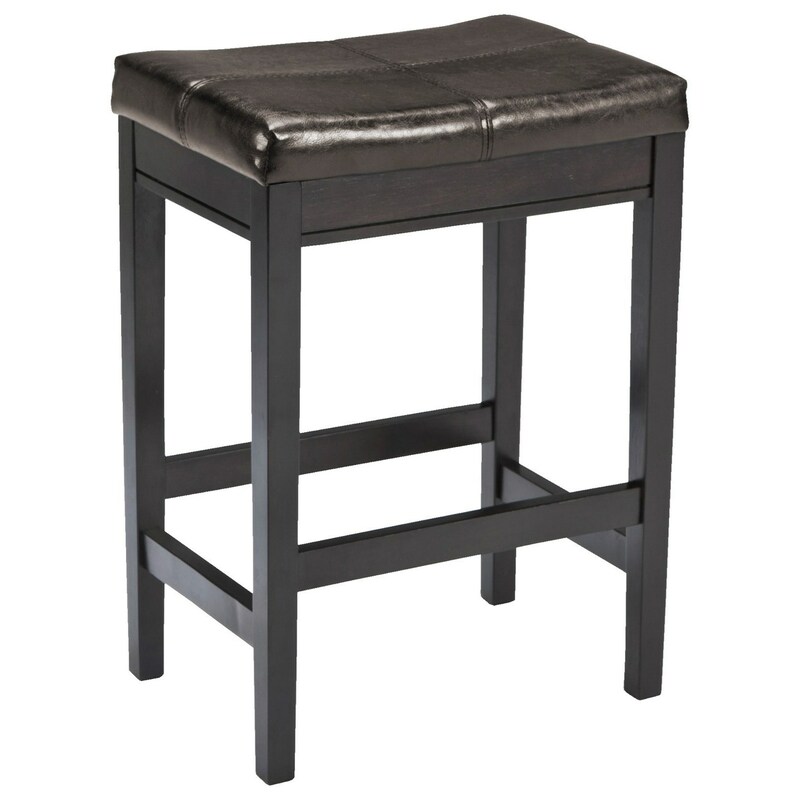 Sleek contemporary style makes this upholstered bar stool a great choice for your home. 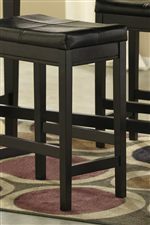 For use at a counter or with the coordinating table that is also available, this backless counter height stool keeps things simple. Made with select veneers and hardwood solids in a dark brown finish, the upholstered seat features a dark brown color faux leather seat cover with slight saddle shape and accent stitching details. 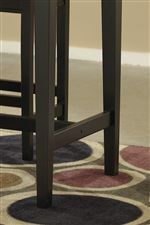 The Kimonte Contemporary Backless Upholstered Barstool - Dark Brown by Signature Design by Ashley at Sam Levitz Furniture in the Tucson, Oro Valley, Marana, Vail, and Green Valley, AZ area. Product availability may vary. Contact us for the most current availability on this product. Contemporary style counter dining is possible with this casual dining collection. The straight-line table is sized right, especially for smaller sized spaces, including an apartment, condo, or eat-in kitchen. 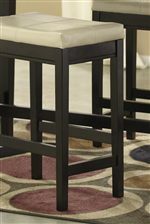 Upholstered bar stools or side chairs to match the table are available with ivory or brown faux leather cushioned seats. Made with select veneers and hardwoods in a dark brown finish, you can take your pick of items available to create a versatile set for your home. The Kimonte collection is a great option if you are looking for Contemporary furniture in the Tucson, Oro Valley, Marana, Vail, and Green Valley, AZ area. Browse other items in the Kimonte collection from Sam Levitz Furniture in the Tucson, Oro Valley, Marana, Vail, and Green Valley, AZ area.